At times life can throw you into turmoil. 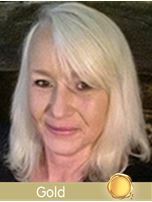 I am a compassionate Medium and Tarot reader that will help to guide you back on your Spiritual path. I owe a huge thanks to Ally Bee for her counsel yesterday! She listened and with her unique skills, she managed to help me see the wood from the trees and gave me the strength to get up and see the positives in my current situation. I have never felt so low and did not have faith she could lift me but she did! Thank you, Ally. The fog started to clear yesterday and this morning I am back and powering on. I have reorganised things and feel more in control. Excellent reading by Ally Be. Sensitive and very much on point, picked up situations and people so accurately. I highly recommend her. Ally Bee told me lots of very significant information. Thankful for her. Call was made up of two-thirds generic information. When I wished to focus on a particular person to fill in some blanks for my own reflection, she moved onto prospective future romance, asserting that I needed to be positive and not focus on them anymore. I opted to extend beyond the 20 package call hoping for answers to my question as well.